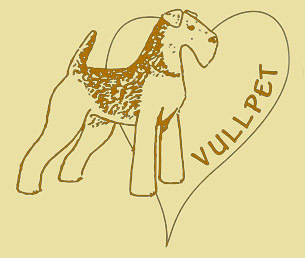 Welcome to the site, where favourite breed is the most favourite breed – of course it is the AIREDALE! How! You do not know our pedigree features yet?! And so: the main thing in these cheerful dogs – staunch optimism, temperament and inexhaustible energy! The dog - the Perpetuum mobile! 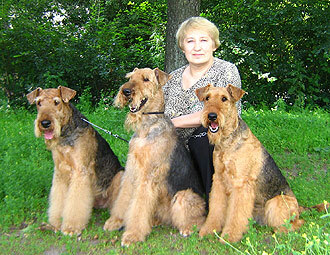 AIREDALE is convenient on the size: neither it is great, nor it is small that for city apartment – it is important. Not to mention such prose as absence at AIREDALEs a smell and a moult … replaces the Moult plucking. And on those whom arranges periodically plucking the dog more, and to live in the house without a wool. Both those, and others – are right, a matter of taste. Will get to the core of" the friend “falseness”, will not let him in? To all other, AIREDALE is clever and easy trained dog. It can be trained on sports or search and rescue serious work. It is willingly trained in any service, whether it be. Thus if you have dared to join our numbers, further all learn! So, once again - Welcome!